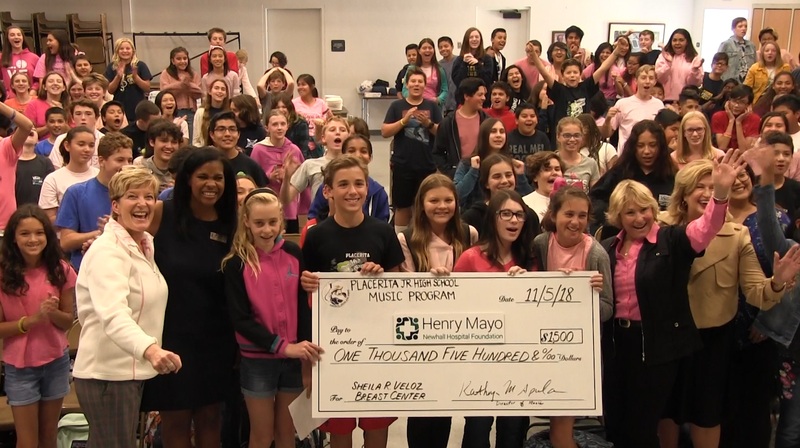 Placerita Junior High School students held a fundraiser throughout October, Breast Cancer Awareness Month, to raise funds for Henry Mayo Newhall Hospital’s Sheila R. Veloz Breast Center. Students were encouraged by their teacher and breast cancer survivor, Kathryn Spula, to raise a goal of $1,500. Students celebrated with a pizza party.